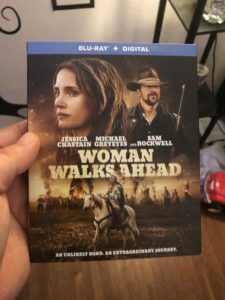 Woman Walks Ahead - Blu-ray Review - ReDVDit! Woman Walks Ahead is a 2017 American biographical drama film that was directed by Susanna White and written by Steven Knight. The film tells us the story of Caroline Weldon, a portrait painter who travels from New York to Dakota to paint a portrait of Sitting Bull in 1890 and becomes embroiled in the Lakota peoples’ struggle over the rights to their land. 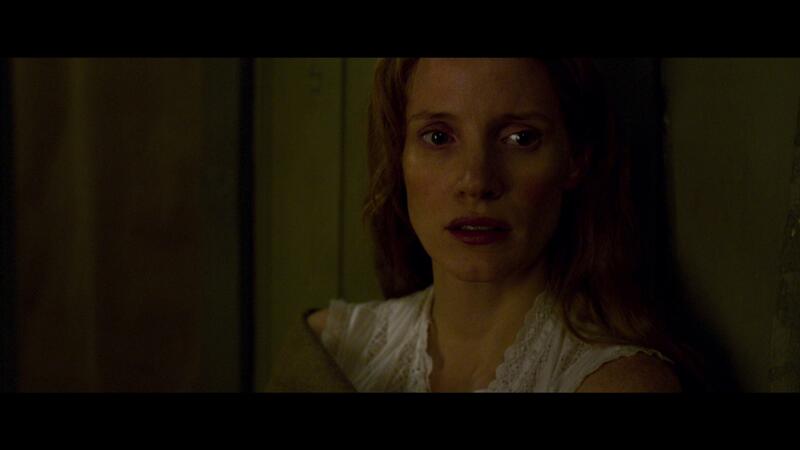 The film stars Jessica Chastain, Michael Greyeyes, Chaske Spencer, and Sam Rockwell. The film had its world premiere at the Toronto International Film Festival on September 10, 2017. It was released through DirecTV Cinema on May 31, 2018, before being released on June 29, 2018 by A24 Films. 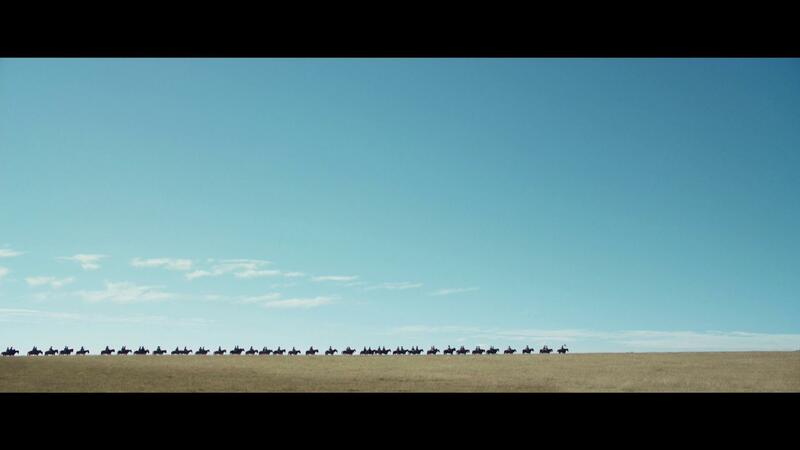 Woman Walks Ahead is a movie that takes the tale of someone who unintentionally finds them self in the middle of something that they hadn’t originally intended on doing so, and adds your standardized Hollywood romantic interest to it. The story, being extremely inaccurate in terms of the tale, does share with us the somewhat interesting story of someone who sets off to paint the portrait of this Lakota leader, and how she gradually becomes more involved with their culture, and overall fight for their land. Without the romanticizing of the relationship between the two, there could have been more detail that focused on the fights for the land, allowing it to become much more representative of the documented experiences during this time. But, unfortunately, with Hollywood’s desire to make more films with romantic interests, it distracts us from the significance of their fight, and overall dilutes the experience. However, the performances by everybody within this movie were executed very well, and you could really tell that they did everything imaginable to make their presentation more believable. The standard Blu-ray release of Woman Walks Ahead looked absolutely phenomenal as it played out across my living room television. Providing an extremely beautiful look into not only the community of the Lakota, but the lives and traditions in which they swore by. Additionally, there were some absolutely jaw-droppingly beautiful scenic views of the western front that really shined on my living room TV. Sharing the bright colors and symbolism that was so ingrained in the lives of the members of the Lakota tribe, and using the variety of light tones to associate or convey the emotion that was experienced at any particular moment within the story, the visual presentation of this release was one that my wife and I would both consider to be top notch. Packaged with a DTS-HD Master Audio 5.1 mix, Woman Walks Ahead does everything that it can within its power to offer an all out immersive experience for its viewers. While the majority of the film didn’t really call for any inclusion of the surround channels, there were a handful of moments that I think would have been executed a lot better had the opted to include them as they would have done a much better job at putting the audience right into the middle of the story. Dialogue is spoken cleanly, allowing for everybody to be heard and understood without the need to manually adjust the volume levels as it progressed. 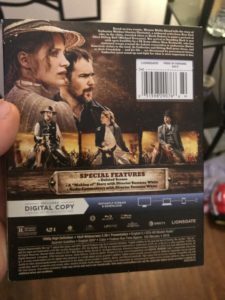 The Blu-ray release of Woman Walks Ahead comes packaged in your standard single-disc Blu-ray amaray case. Within that case is the standard Blu-ray copy of the movie. The disc featuring absolutely no artwork that’s related to the movie, outside of the standard release text and the considerably generic blue background. There are no DVD copies included with this release; however, there is a digital copy redemption pamphlet that has been included for the various streaming platforms. A slipcover has also been provided during the original pressing of the release that features the same piece of artwork that has been provided on the case art. 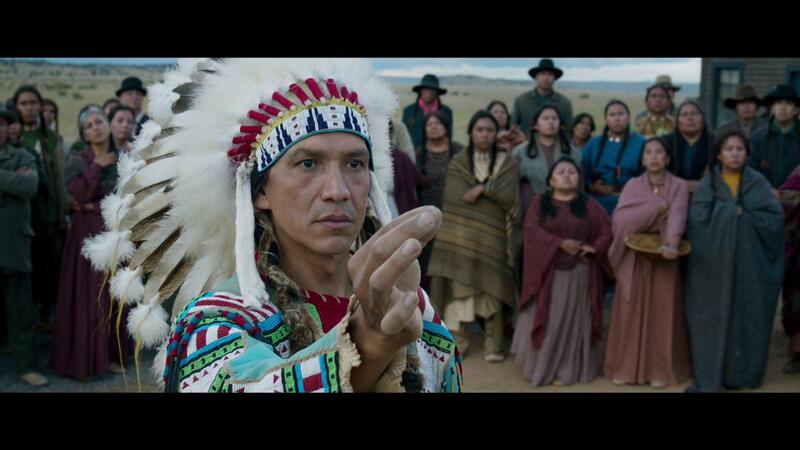 Overall, Woman Walks Ahead wasn’t a completely horrible experience as it definitely did share a story that grabbed my interest, especially after the lead character had made her way into the Lakota community. However, with the unnecessary romantic interest being added to this film, there was a considerable amount of distraction from the original story that was meant to be told with this movie, allowing for a great number of historical inaccuracies. The visual and audio experiences to be had with this release were really nicely done, despite the lack of the inclusion of the surround channels during those few moments that I mentioned above. The special features on this release really could have been more detailed, allowing for those who are interested to learn more from the cast and crew to be able to do so with more appreciation for the events that happened way back when. If you’re considering grabbing this release for your collection, I would certainly recommend checking it out (maybe a rental?) before purchasing it. That way you can be sure that it is something that you liked and that you want to add to your personal library. Woman Walks Ahead will be available on Blu-ray and DVD beginning on August 28, 2018.